The principal objective of cognitive radio (CR) networks is to configure and share dynamically the spectrum resources in order to avoid user interference and congestion. This goal is limited by the effect of errors synchronization between primary and secondary users. In this paper, we study the impact of the asynchronism on the cyclic prefix-based orthogonal frequency division multiplexing modulation (CP-OFDM) including nonlinear HPA model. The considered system includes a reference primary user perfectly synchronized with its reference base station and Nsu interfering secondary users. We provide a new theoretical aspect of interference analysis in the context of the OFDM based CR network. Furthermore, on the basis of this analysis, we derive the accurate expression of bit error rate in the presence of a Rayleigh flat fading channel. Finally, to solve the problems of asynchronism and nonlinearity, a hybrid iterative method of compensation and parallel interference cancellation have been developed based on these two conditions. This research is supported by Innov’Com laboratory. 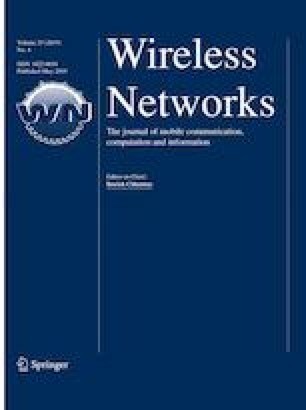 Part of the work was presented at the 16th International Conference on Ad Hoc Networks and Wireless (Adhoc-Now 2017) published in the Springer Lecture Notes in Computer Science (LNCS) .